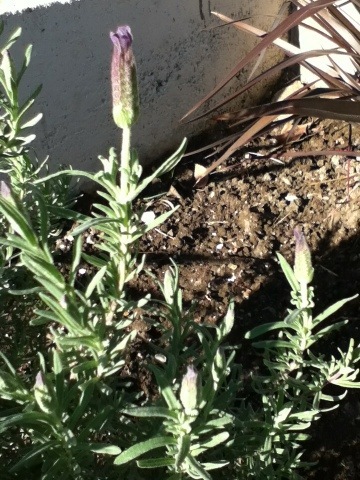 My lilac plant has buds! I guess succulents aren’t so indestructible after all. Talk about your false advertising. So thank God for my little lilac. At least somebody’s not a quitter on these terraces. In a couple more days I think we’ll have some flowers. The rest of you lot: pay attention! 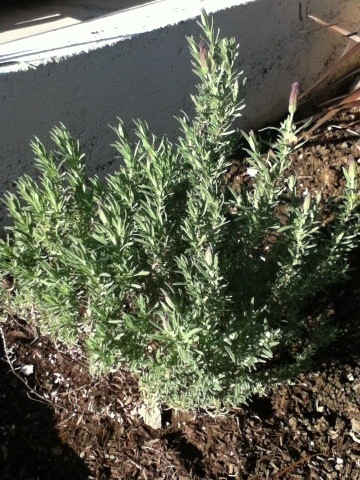 This entry was posted in Garden on January 6, 2012 by thumbstumbler. Congratulations. One small thing: That’s lavender. But that’s a good thing, because, from experience, I can tell you that particular type of lavender does very well in our neighborhood. I have several of those plants in the front and back yard. 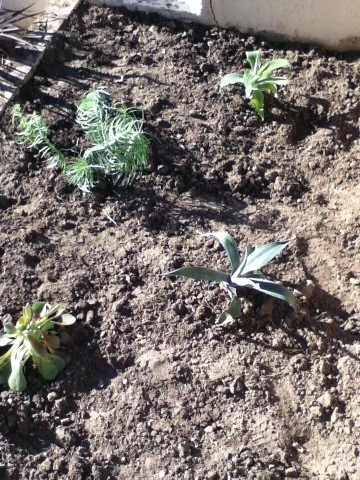 Plus, lavender smells a lot nicer than lilac. And I bet those succulents will do really well. They just need time to root and then they’ll really take off this Spring.